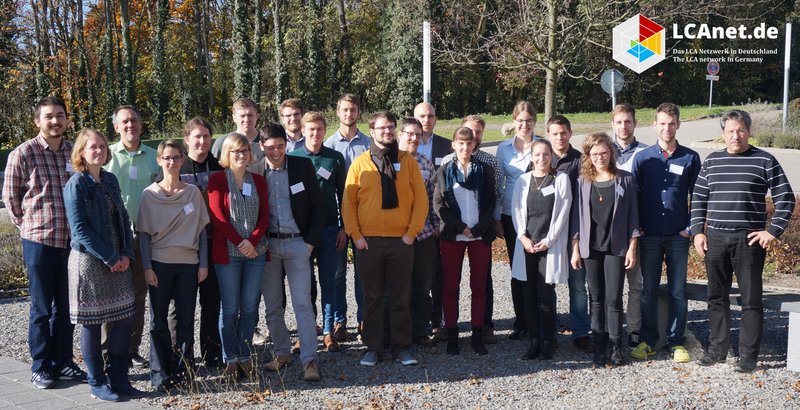 Twenty-three participants attended our second LCA workshop, which was organized and hosted by Fraunhofer ICT in Pfinztal near Karlsruhe. The second LCAnet.de-workshop in 2015 focused on the end-of-life phase in Life Cycle Assessment. Keynote speeches on the state of end-of-life modeling and future challenges were given by Thilo Kupfer, head of thinkstep’s content department, Tobias Viere, Professor at the Pforzheim University and Marlies Meijer, LCA expert at the Dutch producer responsibility organization ARN. In the second part of the workshop, the participants drafted end-of-life case studies for lead-acid batteries, plastic bottles, food waste and structural elements from aluminum and CFRP. These case studies were critically discussed among all participants. At the end of the day, the participants knew about the basic methods and pitfalls of the end-of-life phase in LCA and also learned that many critical issues are still under discussion by the expert community. The LCAnet.de board of directors would like to thank our colleagues Ann-Kathrin Wimmer und Ana Salles from Fraunhofer ICT for the excellent preparation and realization of the workshop. The end of this workshop is also the start for planning our next workshop in approximately 6 months. Please let us know (info@lcanet.de), if you are interest to host one of the upcoming LCAnet.de workshops.